If I guard his body, will he give me his heart? You can’t make someone come to you before they’re ready. For two years, I’ve waited, and I’ve watched. Now Thom is ready to leave his abusive ex. An ex who thinks that if he can’t have Thom, no one can. But the ex hasn’t met me. I have a particular set of talents...and I’ll do anything to protect the man I love. If I can’t eliminate the ex from the equation, my one chance might slip away forever. I normally keep my cool - but not this time. This time, I’m keeping what’s mine. First of all the narrator was wonderful. He did a great job on the voices for the different characters. The conflict of leaving an abusive relationship, is a very difficult one to explain. Peter and J.P., did a great job. The hea ending was very nice. I would definitely recommend this book. 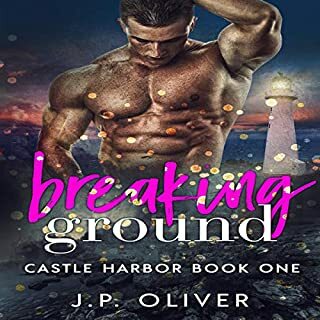 I really enjoyed this quick, exciting, suspenseful romance full of action, desperation, protectiveness, and love. The characters were great, and the plot had me on the edge of my seat until the end. The narration was very good, and I had no difficulty knowing which of the characters was speaking at any given time. The delivery was well-paced and the emotions suited the events of the story and the mind-set of the characters. I received a free copy of this audiobook at my request, and have voluntarily left this honest review. 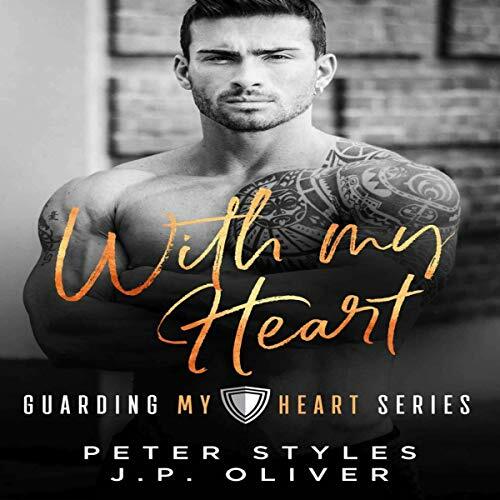 This is the second book in the Guarding My Heart series and is another great read by Peter Styles and J.P. Oliver. The book was fast-paced, held my interest, and was enjoyable start to finish. The narration was very well done. 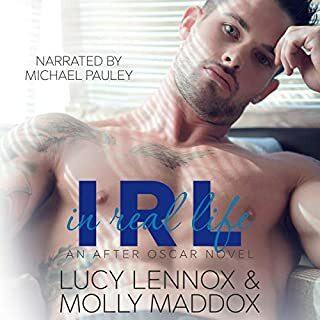 I enjoyed this audio book very much.💖 I'm going on Kindle unlimited for the third book. Great job guys. My overall review is 4.5. A revelation of how domestic abuse can last for a long time and that no one can help the abused until the abused is ready to help themselves. This story has all the riveting actions to keep the listener glued to the story until the end. A great voice to give to the characters and with enough accents and inflections to make you know that the story can be made real inside your head. I enjoyed "With My Heart: Guarding My Heart, Book 2." I seldom listen to audio books, and this was a welcome re-entry into the world of audio books! I feel like the characters were people I could picture meeting in real life. I think the language was clear, concise, and easy to understand. Even the reader's voice was soothing and calm. I like when fiction or nonfiction has a character that is a role model. To me, the inspiring character was Nato. It is real to me that Nato wanted to protect Thom, as Thom struggled in his relationship with Frank. Nato is a hero and gets to demonstrate his protective nature towards Thom, along with Thom's son, Mason. This book was so awesome, and I am so glad I got to experience having it read to me! A real good story. Very believable and shines a light on partner abuse; mental and physical. The only minus is earlier in the book the child Mason was a 13 year old and at the end he was in pre-school. The continuity needs to be fixed. It is a nice short romance, with some passionate scenes, and a happy ending. 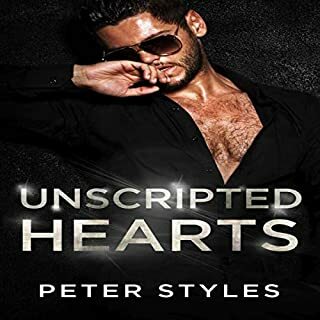 Thomas is a tennis player, raising his adoptive son, but he is involved in an abusive relationship with a powerful, well connected man, who beats him and threatens him every time he attempts to leave. Thom finally is able to leave, and asks for help from the bodyguard agency, where his friend Nato works. Nato and Thom have a real strong connection, and though they recognize their chemistry, Thom's dangerous situation keeps them from acting on their feelings. Their relationship is very sweet, and Nato is very respectful of Thom and his son, and Thom tries to make the best decision he can as a dad. It is also very passionate when it comes to fruition. The narrator has a pleasant voice, it was nice to hear and he read at a nice, quick pace, which helped to keep my attention. He did all the different voices well, each character was distinctive and recognizable, and the emotional scenes were well played. I think he struggled with the accents, though, his Latino accent was usually good, but sometimes it careened into cartoonish, and when Thomas's Australian parents spoke, I thought they sounded Jamaican, which was distracting. However, I think I'd like to hear more of his performances, as long as there isn't any foreign accents. love the story...it kept me on the edge... I was rooting for the good guys!!! This is a great addition to this series and has edge-of-the-seat suspense. The narrator is fine--until he tries to do Hispanic and Australian accents. (This is a problem I have with some other Audible narrators, too.) Not everyone can do accurate accents. If a narrator can't, he should just use his normal voice and pitch some characters' voices differently than others. The voice he uses for Gael is so broad, it comes across as cartoonish. The "Australian" parents sound as if they are from another planet. Great story. Not-so-great storytelling.